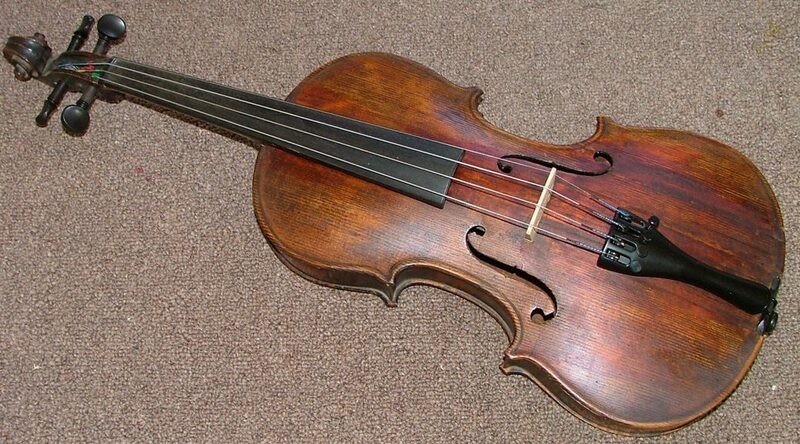 So if you have “grandpa’s old fiddle” lying around in the attic, its time to bring it back to life! Hot glue guns are really never a good option for repairing instruments. You can see in the photo at the top, all hot glue was removed. As you can see, a few extra braces were added in 1963. Obviously This repair was done by an amateur. Repairs are based on a straight hourly fee plus parts and shipping. Our turn around time is generally 10 days or less. Satisfaction is guaranteed. We are known quite well by FedEx, UPS, and the US Postal Service. So you can be assured your instrument will find its way to us safe and sound.